MLB Trade Rumours: What Is the Probable Fate of Jose Reyes? The All-Star game has concluded, and it is now time (as if it hasn't been the talk around the league since April) to discuss the 2011 trade deadline. More specifically, it is time to talk about what will happen to the man Terry Collins has regarded as the best player in the National League, Jose Reyes. Could he follow his now ex-teammate Francisco Rodriguez to Milwaukee and give them one of the best middle infields in baseball? A move that could solidify the Brewers' chances at a pennant. A trade to Philadelphia would likely give them a three-month advance on the World Series. There is a talented crop of pitchers under contract in Philly that could be made pieces of a potential package offer to the Mets, whose pitching is in dire need of attention (fifth in the NL East, ninth in the Majors). Names like Jose Contreras, Joe Blanton, and Danys Baez come to mind. Anyone would be a fool to completely rule out the cross-town rival Yankees from wetting their beaks on the potential acquisition of Jose Reyes. the Bombers have a great farm system, from which they could package pitching and position players to help the Mets build for the future. With Jeter turning 37, don't put it past the Yankees to offer valued prospects such as Dellin Betances, once ranked the No. 45 prospect in America according to Matt Fortuna of MLB.com, or one of their two catching prospects in Jesus Montero and Austin Romine. These are big-name prospects in New York's farm system and although it is farfetched to believe a trade for these players could happen, there are obvious possibilities for one that would benefit both clubs. This being said, Sandy Alderson has expressed the unlikelihood of a mid-season trade, and Joel Sherman of the New York Post has stated that there is "almost no way" the Mets would consider any offer for their coveted shortstop. What is likely to happen then? Alderson has been extremely difficult in identifying exactly where the Mets stand on the Reyes situation. Although Sherman has maintained what seems to be the most popular option of New York contending an offer to Reyes once he hits free agency (Reyes does not want to discuss contract extensions during the 2011 season). Alderson has called Sherman's claim to be "one man's opinion" according to www.mlbtraderumours.com. With regard to the type of offers that would be made to Reyes by the Mets or otherwise, there is no unanimity on whether his production this year versus his body of work warrants a "Carl Crawford-esque" deal. As Ben Nicholson-Smith of www.mlbtraderumours.com stated, Fred Wilpon isn't in the mindset that Reyes deserves a contract as hefty as Crawford's $144 million deal. However, a comparison of the two superstars by Nicholson-Smith shows that, although Reyes has had injury problems for most of his career, he is on pace to play 150 games this season for the fifth time in his seven-year career. You also have to consider the difference in the outfield position, played by Crawford, and the shortstop position played by Reyes. First, the shortstop market is much more sparse in comparison to the outfield, where most casual baseball fans would be able to name five stars off the top of their head. Diehard fans could make a laundry list of more than adequate outfielders, several of which offer similar skills as Crawford (Michael Bourn, Matt Kemp, Curtis Granderson, Jacoby Ellsbury etc.). A shortstop of Reyes' caliber is hard to come by. Although injury proneness may cause certain teams to shy away, if he can give you 150 games per season with the kind of production we've seen from him in 2011, while still playing the position as hard or harder than anyone else, the pros far outweigh the cons. At 28 years old, Reyes has several years before his body will not allow him to play as aggressively as has made him the superstar he is today. What I believe this all boils down to is Reyes entering the free agency. Upon doing this, and contending offers from a variety of teams who would be very willing to match, or even exceed Carl Crawford's contract (teams like San Fransisco, Detroit, and Cincinnati come to mind), Reyes will more than likely make a financial sacrifice and accept a smaller offer from the New York Mets. They will be able to justify the investment a little more after some contracts are unloaded after the 2011 season. This may be 100 miles the other way of what Reyes ultimately decides to do, but he has always expressed a love for the Mets organization, the city of New York and his desire to remain there. 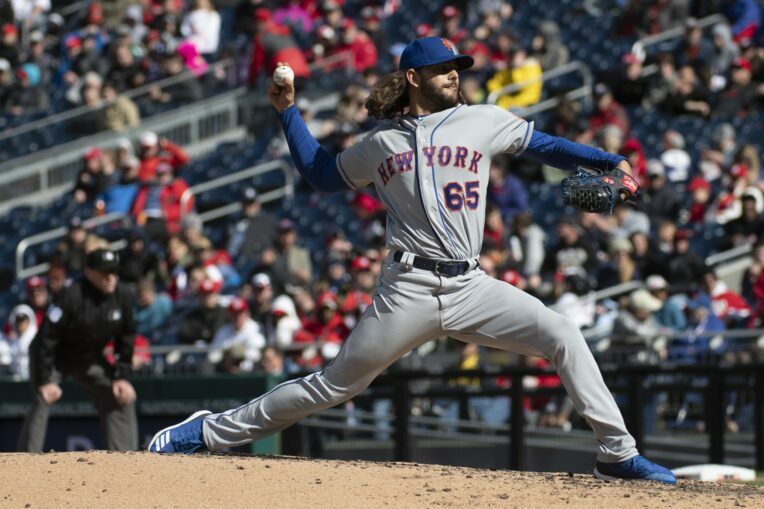 He is the fan favorite, and I believe he would like to be a part of the rebuilt perennial playoff contenders that the Mets will continue to make efforts to create around him and David Wright. Or even solely around him. Much can be gained from the departures of either Wright and/or Carlos Beltran whereas giving the big bucks to Reyes wouldn't seem like such a bad idea.